A successful architect in South Africa and England, Danie encountered a continental shift in focus when he visited Houston for the first time in 2001. He laid eyes on the master planned community of The Woodlands and fell in love. Deciding that he could make a positive contribution to the architectural landscape, he trekked his family over 8,000 miles and set up shop in Houston in 2003. And then it was Houston that fell in love with Danie, who became known not only for those wooden bow ties, but for his devotion to client-centered, historically-accurate design. His firm has completed hundreds of residential and commercial projects in the ensuing decade. He designed the very first home in East Shore, and has gone on to design dozens more of the upscale master-planned community’s residences. 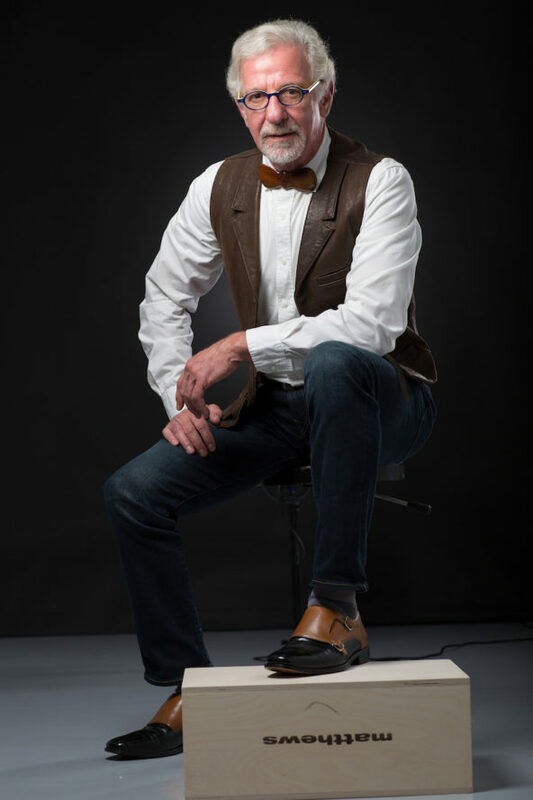 But what Danie’s clients really want to know is, “What’s with the bowties?” That quirky trademark stretches all the way back to Danie’s days as a young architect in South Africa. “I grew up as a professional having to wear a collar and tie every day,” he says. “A normal tie got in the way, especially in the old days when we would sit over a drafting table. It drove me mad!” So, he decided to switch accessories, and in uniquely-Danie fashion, hand carved a bowtie out of local wood. Now he has a varied collection of bowties made of materials including wood, marble, metal, and porcupine quills. “I have a terrible long last name that no one can pronounce, but everyone knows me as the ‘guy with the wooden bowtie,’” Danie says. Best of Houzz for the past five years including Client Satisfaction and Design categories.